BECOME EDUCATED IN THE FINANCIAL MARKETS! Become a successful Trader - Enroll for our PRO-COURSE and/or open a MANAGED or SELF-MANAGED TRADING account in your OWN name! For the SELF-MANAGED account, the PRO-COURSE is essential, which will be given by the academy. We will train you how to become a successful trader with low risk! For the MANAGED account, you can start with a certain minimum amount and have a growth that will beat any policy!! An account like this will always be in your OWN name and only YOU can make withdrawals from the account, but we can help you to grow your funds with an expert on board. 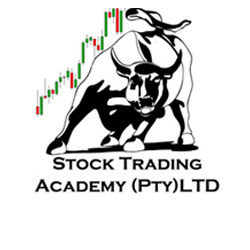 Visit STOCK TRADING ACADEMY on FACEBOOK for more information and proof that this can be done with the correct trading strategies. The growth potential is as per continuous updates provided by the Academy.